Because of its prevalence, we begin to question the causes of cancer and wonder if there is more we can do to prevent its occurrence.We know now that popular sources of power, namely coal and nuclear energy, are contributing factors to cancer. But there’s good news – renewable energy sources offer a solution. In a 2009 position paper authored by Dr. Cathy Vakil and Dr. Linda Harvey, scientific data about the nuclear energy lifecycle and its relation to human health is thoroughly reviewed. According to this paper, health studies from Canada and around the world show an increase in leukemia cases, lung cancer, thyroid cancer, breast cancer and other serious illnesses, with both people who work in and live near nuclear facilities. Chemicals of concern include radon, the second leading cause of lung cancer (after smoking), and tritium, a carcinogen and mutagen.With our heavy water CANDU reactors, Canada releases large quantities of tritium but our use of nuclear energy continues, despite this health risk. Coal is another cancer culprit, emitting the carcinogens chromium and arsenic. Ontario’s Nanticoke coal-fired plant is the largest coal plant in North America and contributes to increased incidence of illness, including severe respiratory problems. According to the Ontario Clean Air Alliance, nearly 250 people die each year as a result of illnesses related to Ontario’s coal plants. Most are in agreement that we need to find healthier sources to meet our electricity needs. Renewable energy sources – including wind power, solar photovoltaic, low-impact hydro and geothermal – are free from polluting emissions and cancer-causing chemicals. Though there are some energy costs with initial production and set-up, these renewable energy technologies are much safer than coal and nuclear. While there are unavoidable dangers with using coal (toxic chemicals released into the atmosphere) and nuclear (uranium extraction and toxic waste disposal), there is nothing inherently harmful about setting up a windmill, or a few solar panels, to produce energy. 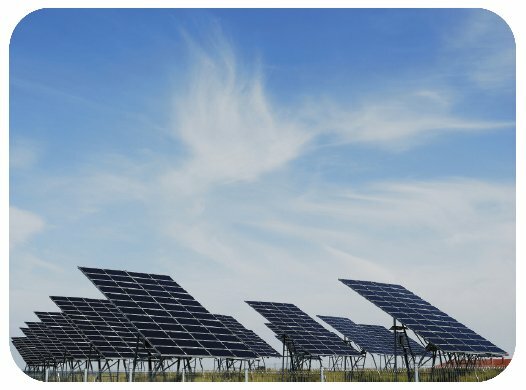 Sure, some individuals may disagree with a field of solar panels on an aesthetic level. Others may get annoyed with the sounds from a local wind farm. 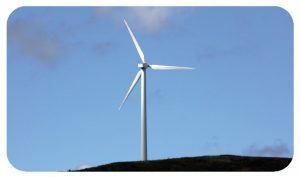 However, with the province of Ontario’s regulation, which demands a minimum 550 metre set-back for the installation of wind turbines, these annoyances can generally be avoided. In time, renewable energy devices will become a welcomed part of our landscape, just as we’ve become accustomed to seeing telephone poles along our roads and transmission lines in country fields. Cancer prevention is in our power. It’s in the kind of power we choose to light and heat our homes; play our stereos and recharge our cell phones. In fact, the choice of embracing renewable technology is a must if we’re serious about fighting cancer. Article reprinted from the Fall 2010 Newsletter of the Canadian Association of Physicians for the Environment (CAPE).